Before the invention of electricity, candles and oil lamps were the primary source of light. Candles are still valued asset, although they are rarely used for utilitarian purposes these days. From a survivalist perspective, having experience candle making and stocking up on them is a smart strategy. If you’re without power, candles provide an economical, constant source of light for any prepper. And even when there is no emergency, candles create a peaceful ambiance that no electric light can duplicate. Stock up on candle making supplies and try your hand at homemade candles. Chances are, once you try it, you’ll be hooked. Tallow Wax: Tallow wax from rendered animal fat was used for centuries to make candles. It is still one of the most economical types of wax and the one you’ll most likely use if you can’t get commercial candle-making supplies. Keep in mind that the major disadvantage to tallow candles is their smell, which is heavy, and frankly, downright unpleasant. Tallow candles also give off more smoke than other types of candles. Beeswax: Beeswax comes, as you would expect, from the wax bees use to build their hives. Collectors gather the wax once bees move on, melt it down, filter it to remove impurities, and use it for candles. Early colonists preferred beeswax to tallow, which produced a lot of smoke and odor. 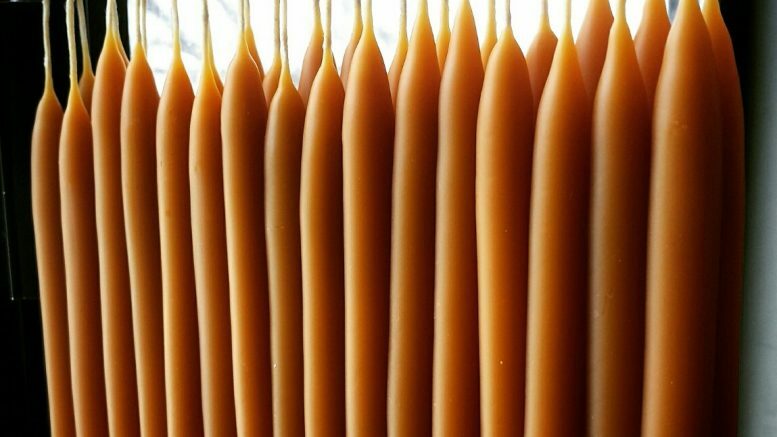 Beeswax candles have a lovely, mild scent, but they melt quickly. Beeswax comes in sheets, chunks, or pearls. It has a low melting point and is rather sticky. Add a candle-hardening product if you’re using it in candle molds and fill the molds quite full because the wax tends to shrink. In a survivalist situation, I’d much rather use beeswax candles than tallow candles—just one more reason to own your own beehives. Bayberry Wax: Bayberry wax is another natural product made from the bayberry plant. This plant produces bluish aromatic berries and exudes a waxy substance. The candles are also very aromatic and are naturally dyed olive green. Bayberry wax is among the most expensive types of wax because making it is quite labor intensive. It takes as much as fifteen pounds of berries to make one pound of wax. Paraffin: Paraffin wax is the least expensive type of wax and is widely available. Made from petroleum products, it is easy to work with, melts evenly, and has very little odor. It comes in chunks, sheets, or pearls. Soy: Soy wax is marketed as a “green” product that produces less smoke, odor, and irritants than other wax types. However, I haven’t seen any third-party research verifying this fact, so it might be nothing more than a marketing attempt to manipulate consumers interested in environmentally friendly products. Soy wax is a renewable resource made from soybeans ,and it can be melted and reused easily. Like beeswax, it is very soft, so use it to make container candles or add candle hardener. Wear protective clothing, such as an apron and latex gloves, when making candles. Keep a bowl of ice water nearby to treat burns. Keep baking soda and a fire extinguisher on hand. Never put water on a wax fire, which will just spread it. Treat it as a grease fire. Keep young children away from hot wax while you make candles. Supervise older children and teach them proper candle-making safety techniques. Don’t pour leftover candle wax down the drain. It coats your pipes, causing clogs and potential fires. Instead, pour candle wax into an empty milk carton or glass jar. Melt candle wax in a double boiler, rather than over direct heat. Using a double boiler allows you to control the heat better, reducing the chance of fire and making a better product as well. 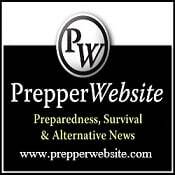 Be the first to comment on "Candle Making For Survivalists When SHTF"